Whether you’re just starting your journey, want to learn more about your fertility health and wellbeing, or need help in achieving your dream of parenthood, our experts are on hand to offer you advice and support. 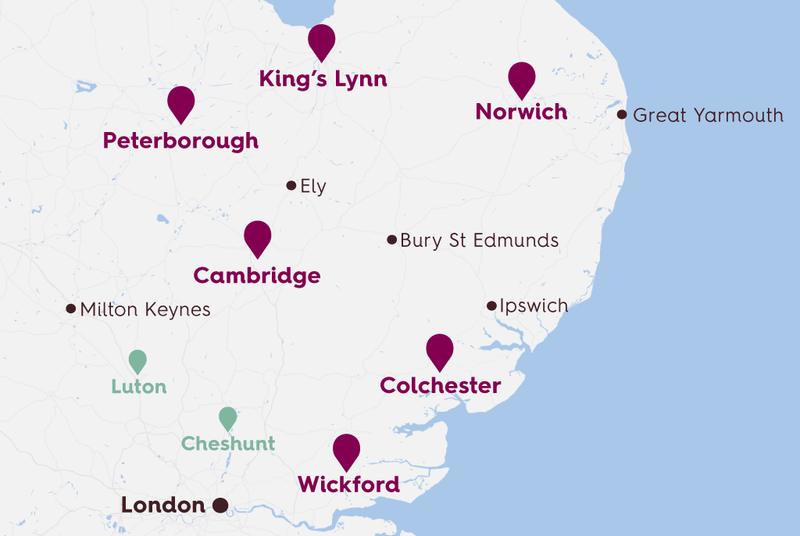 Wherever you are in the East of England, one of our clinics in Cambridge, Colchester, King’s Lynn, Norwich, Peterborough or Wickford will be near you. Here for you every step of the way, our experts advise on the best fertility tests and treatments available. If you are interested in helping other families on their journey – find out more on our Become a Donor website.